how to reach Porto Santo Stefano 2 by car: coming from France or from regions Northwest of Italy, take the A12 Genoa-Livorno at Rosignano Marittimo merge onto SS1 via Aurelia and continue towards Grosseto-Roma.Continue in the direction of Grosseto on the SS1 via Aurelia and continue past the capital of Maremma towards Rome for about 30 Km leave the Aurelia highway up to the town of Albinia, following the signs for Isola del Giglio, Argentario and Porto Santo Stefano keeping always on the right. Follow the road of Giannella which leads directly to Porto Santo Stefano.From the NORTHEAST to reach the A1 Bologna-Florence and follow the signs to A1/Florence and enter into A1 (toll road) Follow the exit Firenze-Certosa, Cassia SS2, Impruneta. Turn right at the roundabout towards Siena Colle Val d'Elsa/Poggibonsi/Grosseto. Continue along the SS Firenze-Siena (Siena/Grosseto/signs to Arezzo) Continue on Beltway Siena Ovest. Take the exit towards SS223, keep left at the fork and follow signs for Grosseto. Continue past the capital of Maremma towards Rome for about 30 Km leave the Aurelia highway up to the town of Albinia, following the signs for Isola del Giglio, Argentario and Porto Santo Stefano, keeping to the right. Follow the road of Giannella and at the fork for Orbetello swerve to the right before reaching porto Santo Stefano where the ferry.By train: the station of Orbetello Monte Argentario correspondence is in the hamlet of Orbetello Scalo. This railway line is very well connected with the stretch that drops from Genoa or dating back from Rome, while for connection to Florence line is less rapid.Upon reaching the station of Orbetello-Monte Argentario boarding ferries is about 10 Km, but the link with Porto Santo Stefano is well serviced by public service throughout the year provides buses very frequent buses taking about 20 minutes.By bus: from Grosseto is a discreet public bus service, operated by Tiemme transport, which with a few euros you can reach Porto Santo Stefano and the embarkation point for ferries. The departure is made from Grosseto railway station several times a day and you can get just a few meters from the ticket offices adjacent to the pier in Porto Santo Stefano. This service is also present for the return in Grosseto although less frequently. 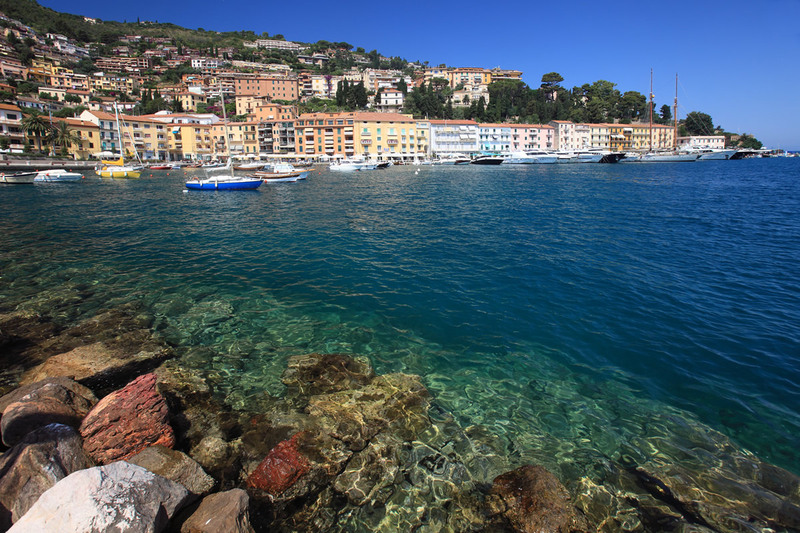 Do you want to travel with your family to get to Porto Santo Stefano? Do you like adventure and freedom and you want to reach the destination Porto Santo Stefano with your moto ?